For thousands in Southern California, Frances Anderton is the voice that helps us navigate the world of design. 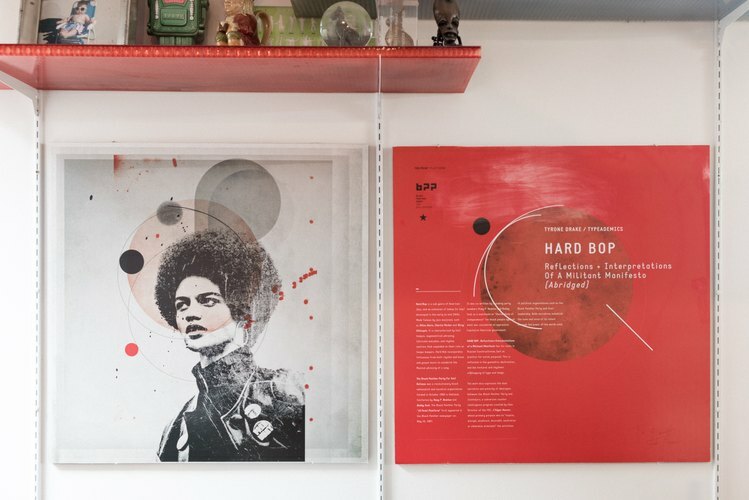 She has done so with much enthusiasm and wonder for two decades through spirited conversations on her KCRW show, DnA: Design and Architecture. Each week on DnA, they share exciting and controversial developments in Los Angeles and beyond, addressing important issues shaping our public spaces and other design topics, bringing us closer to those who affect and are affected by them. She and DnA producer Avishay Artsy have also just launched the Desert X podcast featuring interviews with Desert X artists. As someone who is passionate about vital spaces, the single-family home way of life doesn't interest Anderton. "I'm very untypical L.A., if the quintessential L.A. life is owning your own home with a backyard, and not sharing a wall with anybody," she says. "I grew up in Europe, where we live in brownstones, terrace houses. 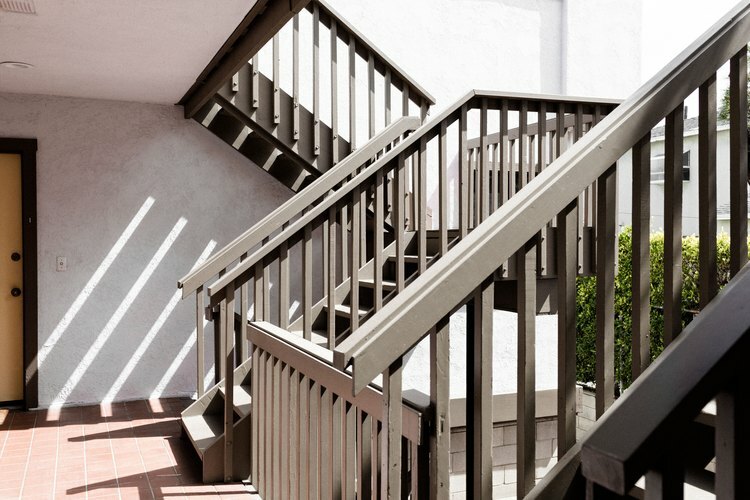 You're living invariably in a subdivision of a house, on one or two floors, so you're very used to having people living on either side or above you. 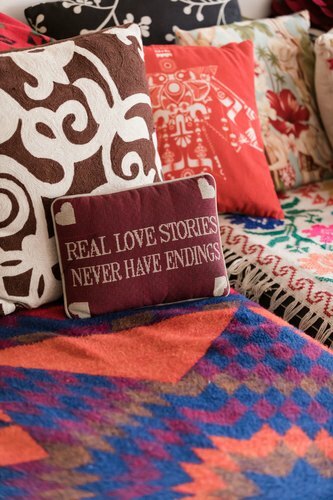 And frankly, I love it. I feel safe." So when she moved to Los Angeles in 1991, it was natural (and affordable) to live in a multifamily dwelling, an apartment building. 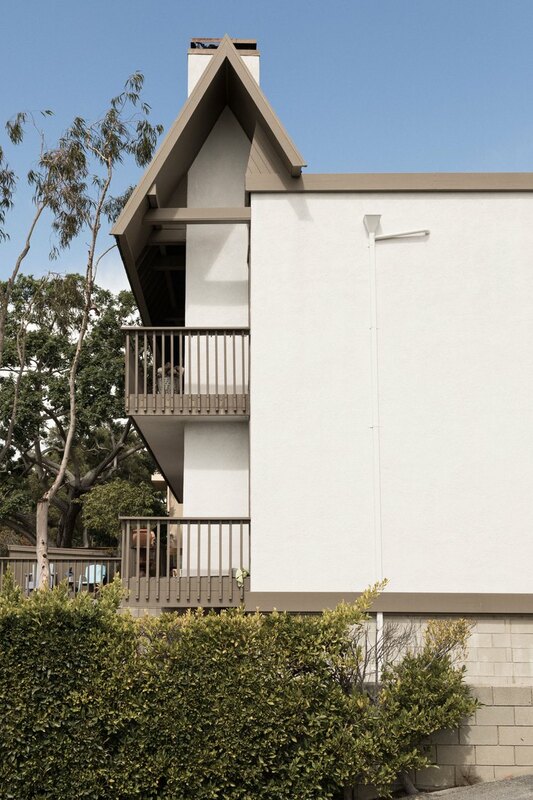 The six-unit "cozy complex" was actually referred to her by a good friend, someone whose name may ring a bell: Frank Gehry. "I knew Frank from when I worked for a magazine in England called the Architectural Review, and I mentioned that I was living with a friend and I was starting to look for my own place," she recalls. "He said there was a flat available in a building that he designed." Gehry designed the Hillcrest Apartments in 1962 on spec with a group of development partners (including Fereydoon Ghaffari, a colleague at Victor Gruen), long before Gehry achieved international notoriety for gravity-defying buildings that disrupt city skylines and are among the most photographed in the world. "I was to move in for a year, and after a year I would go because they were going to sell the building," Anderton says. That year turned into almost 30, during which ownership changed. 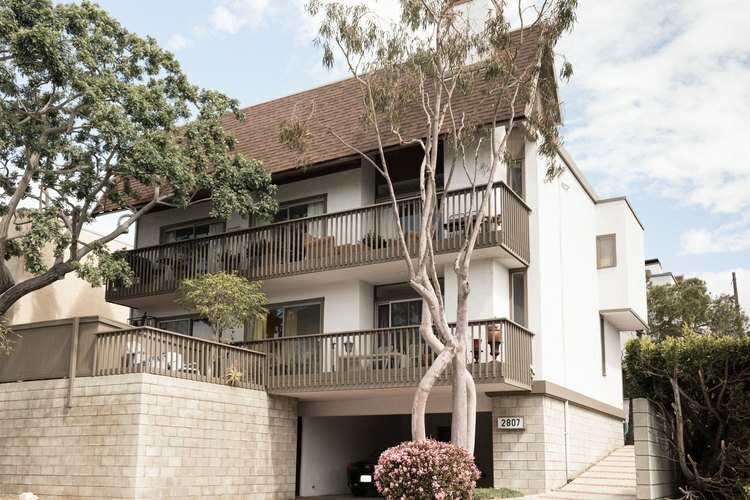 The fact that she still lives here is a testament to how much she appreciates its design and location in Santa Monica, near the beach and conveniently close to KCRW's studios at Santa Monica College and her daughter's public school. If you were to walk by the two-story building, which sits on a quiet street off Ocean Park, you wouldn't likely give it a second look. It blends in nicely with the surrounding homes, duplexes, and apartments, at least at a passing glance. But take a closer look, and you'd notice distinct architectural choices: specifically a sharply sloped, semidetached, asymmetrical roof and jutting second-floor extensions. Gehry had actually lived here with girlfriend Berta Isabel Aguilera (whom he'd later marry) after his first marriage broke up. His friends would reside there, too: his therapist and mentor Milton Wexler and former LA Phil director Ernest Fleischmann and his girlfriend. And more of Hillcrest's design is revealed with Anderton as guide: like any subject she introduces on her shows, she often points out how seemingly small details have the potential to bring value (or upend) your everyday life. And during the tour of her first-story apartment, she does the same, calling out how each object and facet is imbued with purpose, narrative, meaning, people. Fondly dubbed "The Music House" by her daughter, Summer, per the handmade arrow sign she made that greets visitors outside, minimalism doesn't live here. 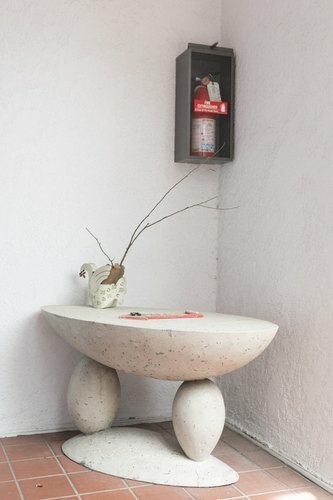 "We have stuff here that we want and is chosen," stresses Anderton, who designed some of the objects in their home, including the Syndecrete table outside their front door. "We just don't believe in stripping things down to a bare white room with one ancient log as a bench." 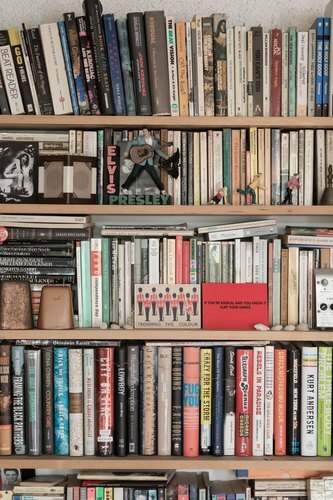 In large part thanks to her husband, musician and writer Robin Bennett Stein, loads of books, artwork, vinyl, music gear, gifted furniture, and garage sale finds fill the rooms — treated like good friends you keep for life. 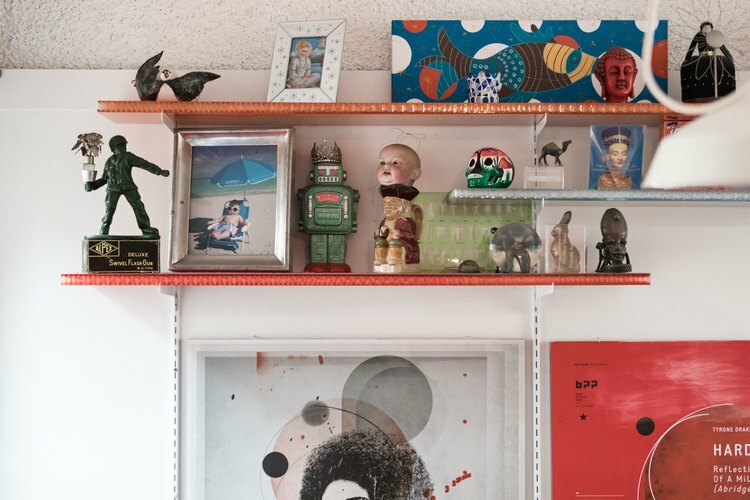 And what Bennett Stein does with these friends on his tchotchke wall in the living room is a constant source of amusement — and at times exasperation (at the sheer volume of tchotchkes) — for Anderton, "He just sees things at yard sales and puts them together in curious ways." His current "strange compositions" include a miniature hot rod wearing reading glasses, Mr. T struggling to get out of a top hat he shares with a grouchy wood mask (a Nigerian percussion instrument), an insect clinging onto an old Royal typewriter, and a plastic bottle of holy water adorned with Virgin Mary wearing a pocket watch. The cast of characters sit on different colored semitransparent plastic shelves that resemble honeycomb and are made of Panelite, invented by their friend and neighbor Emmanuelle Bourlier. 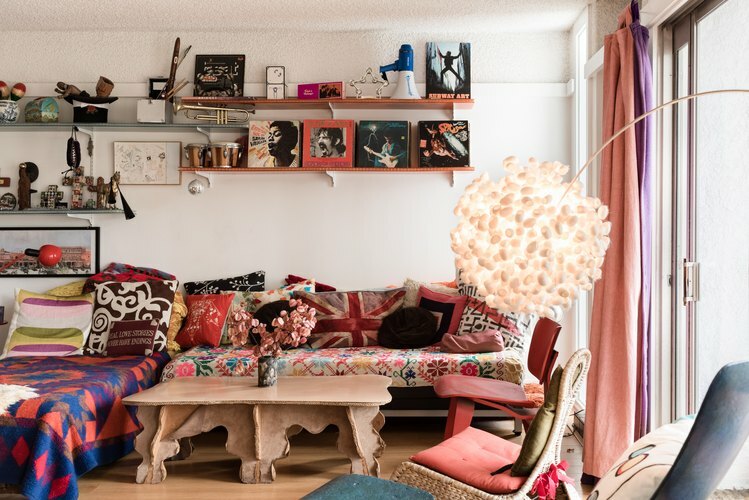 Below the far set of shelves is the family's lounge area inspired by Jimi Hendrix's Mayfair apartment, with an L-shaped couch, brightly patterned throw blankets, and equally vibrant pillows, as well as an assortment of chairs. 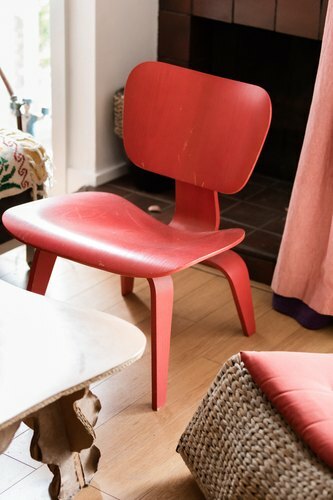 A bright-red Eames LCW chair that used to be in former KCRW music director Nick Harcourt's office; stained bentwood chairs, made of a wood composite called Palmstrate, designed by friend Jonas Hauptman; and a wicker rocking chair from a garage sale add more personality to the space. There's also a bulbous lamp made of silkworms by Angus Hutcheson and an ultra cool coffee table of corrugated cardboard by Joel Stearns, who built cardboard furniture for Gehry in the '80s. 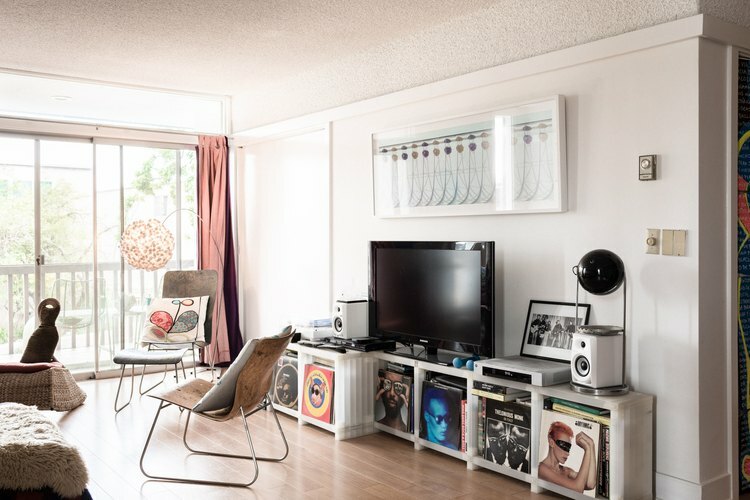 On the opposite side of the room is a low cabinet that has the family's hi-fi system and another Bennett Stein–curated lineup of treasured vinyl — "he would live in Amoeba [Records] if he could," Anderton notes — that includes Hank Mobley, Grace Jones, Thelonious Monk, and Bob Dylan. 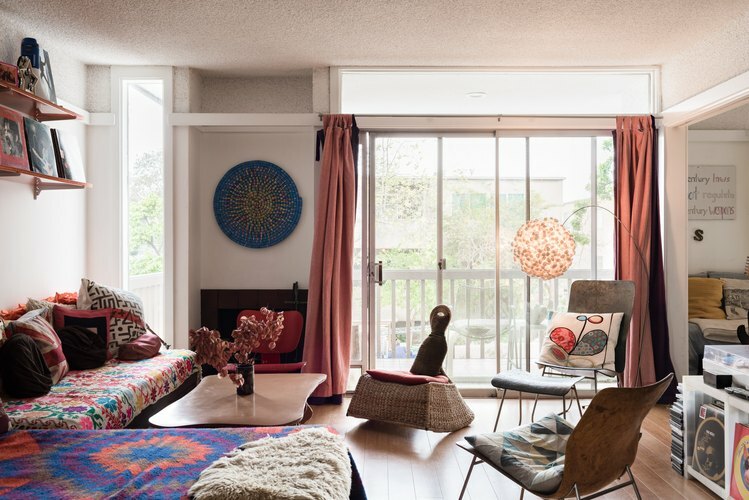 What's clear about the space is how Gehry designed the apartment to let natural light in without it being overpowering, really allowing the family's multiple collections to shine. "Everything is considered," Anderton points out. "For example, there is a window on every side, so you don't feel like you've got that apartment-y feeling, where you may only have one side with windows. That's what makes an apartment feel kind of oppressive." 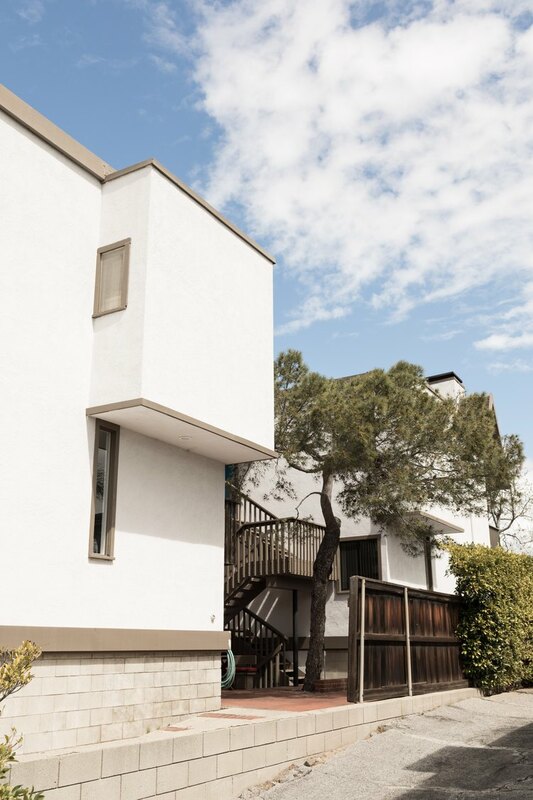 While many modernist homes feature walls of glass, Gehry aimed for a rhythm of wall and glass. She draws attention to how the three sliding doors in their home, which empty out to a lovely balcony and spacious deck, interweave with wall space. 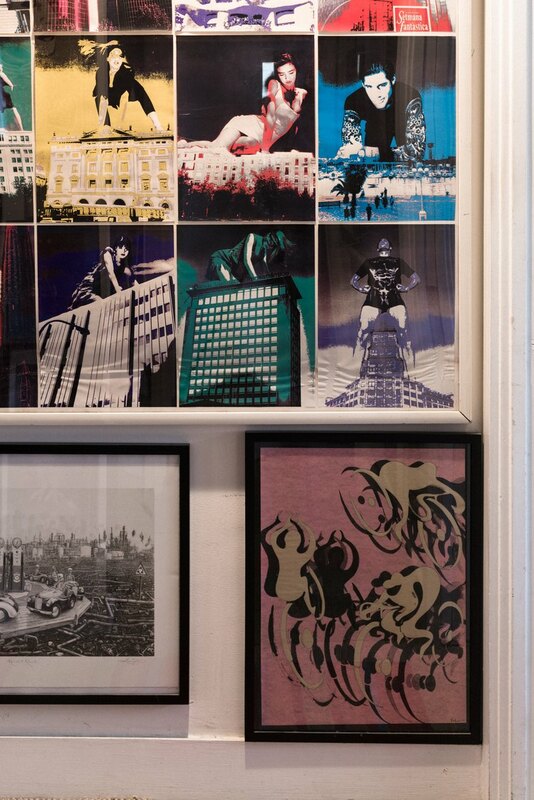 "I like the differentiation between opaque and transparent," she explains. "Here, the light and the heat are modulated by not having glass everywhere. So I like this very much. It makes for a very subtle play of light, where it's not just like a blast, like a wall of sun. And it makes the temperature controlled. We actually don't have to control the temperature. It has cross-ventilation, which is the other benefit of having windows on all sides." Through the hallway to their bedroom, practically every inch of wall is taken by more books and treasured artwork, including a signed poster from Shepard Fairey, a 1989 sketch of a teapot by Gehry with the personal note "A Teapot Named Frawncis" (to convey the English pronunciation of her name), '80s Xerox experiments by Anderton, and a poster she designed for the London Cycling Campaign. When asked which piece is her favorite, Anderton says, "Everything is a favorite." See, good friends. 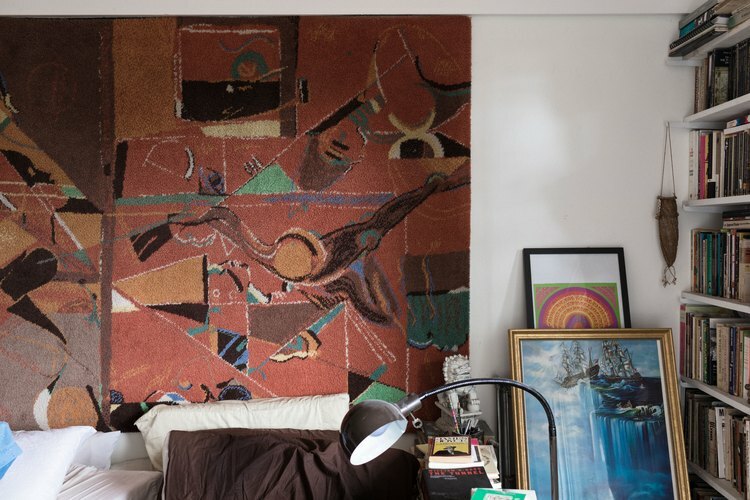 In the master bedroom, patterns abound, from the fish rugs and embroidered curtains to the throw blanket on their bed and the 1986 Miles Davis–designed "Jazz Scene" carpet (also formerly in Nick Harcourt's office) that hangs above it. Next to their curtain-covered closet is a built-in dressing table nook that serves as one of the workspaces for the couple. And throughout the room are more books and more keepsakes, to which Anderton shares, "Summer would love to throw out half the stuff that's in here." 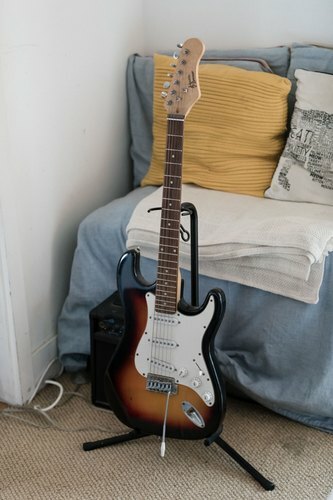 Summer's room, too, has books and musical instruments (specifically a guitar and piano her parents look forward to her playing), but minimal artwork. 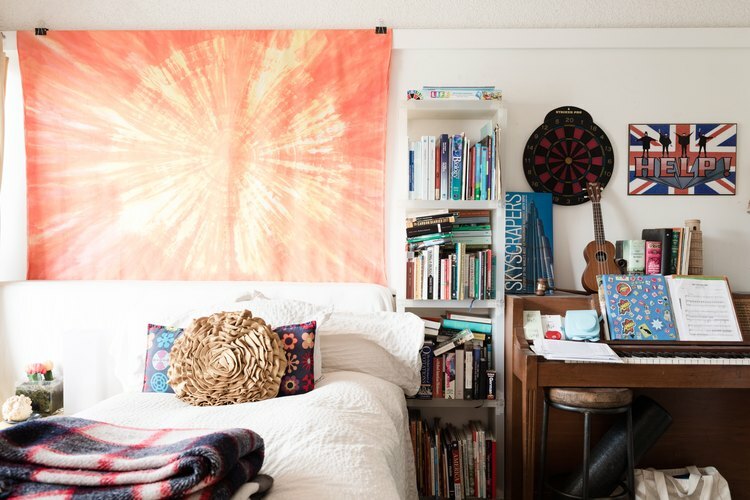 Above her bed is an orange tie-dye tapestry by a classmate's parent and in one corner are posters she made for marches she attended. 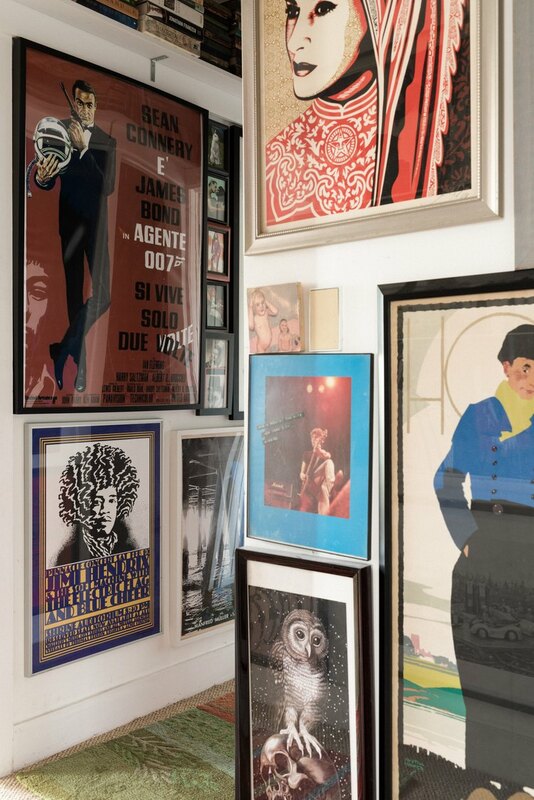 Other artwork in the family's home are by or feature Tyrone Drake, Catherine Opie, Peter Shire, Melinda Smith (below right), Laurie Lipton, Jay Mark Johnson, and Ben Medansky. 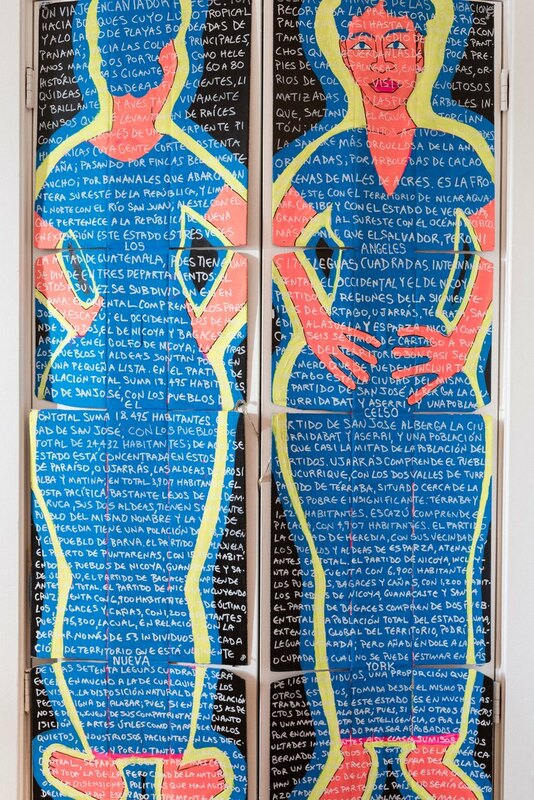 The latest addition are bright, text-covered paintings of a woman by local artist Ed Tahaney placed over their entry closet doors (below left). The entryway itself serves as the family's pantry, with shelves of cookbooks and neatly ordered spices above an assortment of amplifiers. More colorful friends of all sizes and shapes. 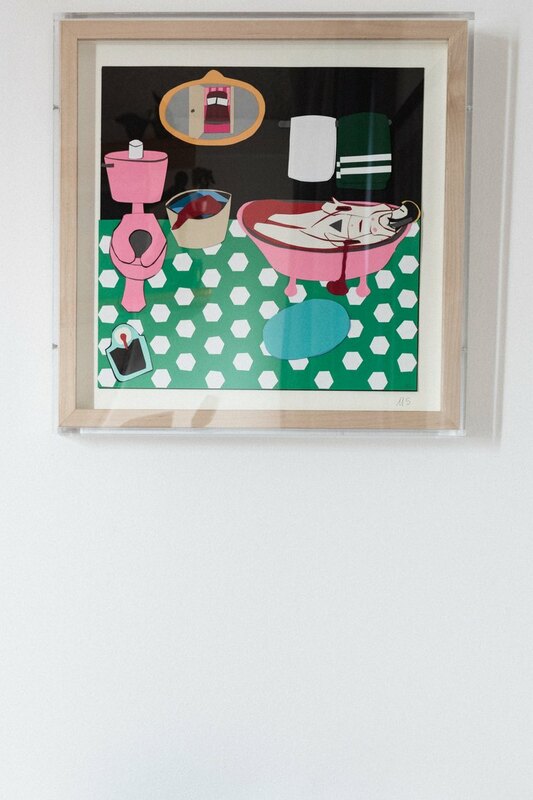 One of Anderton's favorite prints also lives in the entryway: a vintage Perrier poster by French artist Bernard Villemot from her father, one of a number of Villemot posters he gave her over the years before he died in 2013 because of their shared love for his work. 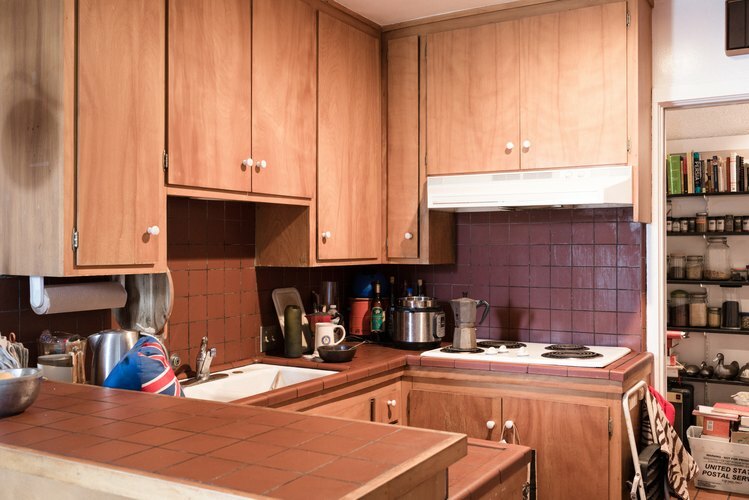 The small kitchen is in the next room, just through another doorway, with its original wood cabinetry and tiled bar and floor, which extends into the dining room. With the exception of the popcorn ceilings ("Hate it, hate it, hate it," says Anderton), she adores practically every aspect of their home, especially the narrow beam she calls a picture rail, which runs a foot or so beneath the ceilings — along the walls and floating above the doorways — and is a dynamic unifying element. Anderton notes that it's more than just the building's design that has kept her family here, versus moving far from the neighborhood and trying to buy that single-family home. "When it came to my own lifestyle choices, I chose the apartment here so I can have a walkable life. This building supports that lifestyle, which is different from 'OK, I'm going to invest in a home, it may not be in an area that I necessarily want to live in ... it won't necessarily be near the school that my child is going to, but if that involves driving five miles to go to the school, that's what I'll do,'" she says. "I don't want that lifestyle. I want our child to be educated in a public school. I don't want to have to drive for hours every day. This apartment, which I love in and of itself, also supports a set of value decisions. 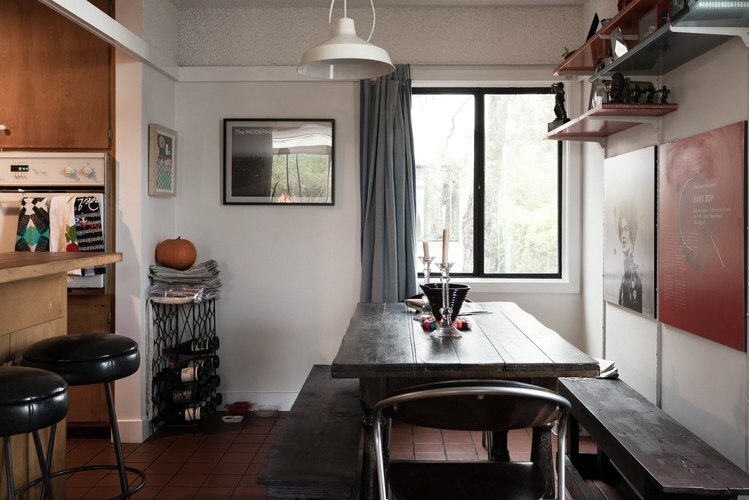 It is most definitely modest, but with some really good details, and that make it a really good space to live in."